In the latest of a series of Middlesex-Vietnam collaborations, MDX has received £133,000 of a £210,000 Newton Fund grant for a telecommunications research project in partnership with the University of Transport and Communications (UTC) in Hanoi. The Fund, part of the UK’s Official Development Assistance provision, supports activities that contribute to poverty reduction, welfare improvement or the progression of sustainable development in partner countries. The MDX-UTC initiative is to develop a low-cost Digital Twin model for early detection of structural damage to vital infrastructure such as bridges and dams that would be difficult to spot through monitoring of the physical structure alone. The project, which begins on February 11 and runs for two years, will help improve quality of life for people in Vietnam and raise Middlesex’s research profile. 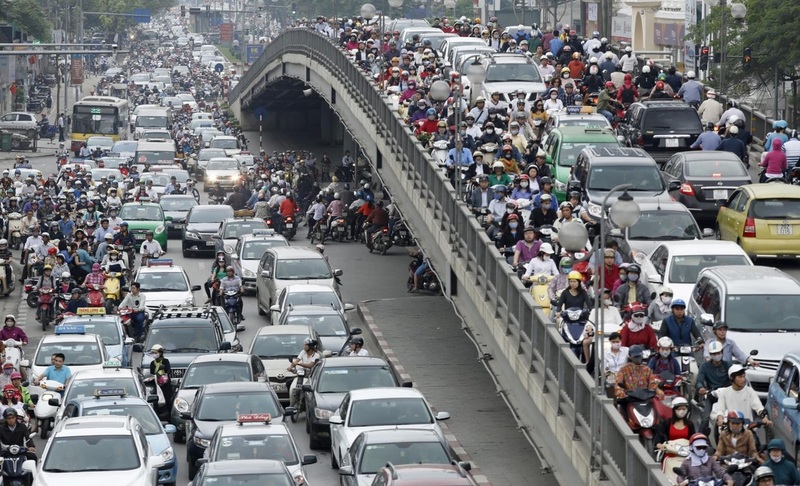 It follows a Newton Fund-backed workshop in Hanoi in October involving British and Vietnamese academics, on the application of 5G technology to forecast accidents and manage traffic congestion, as part of the British Council-managed Researcher Links programme. The Principal Investigator is MDX’s Associate Professor Dr Huan Nguyen. The UTC team is led by Associate Professor Dr Thanh Bui, and the other partner is Stevenage-based technology firm Viavi Solutions, led by Dr Duc To and Dr Li-Ke Huang. 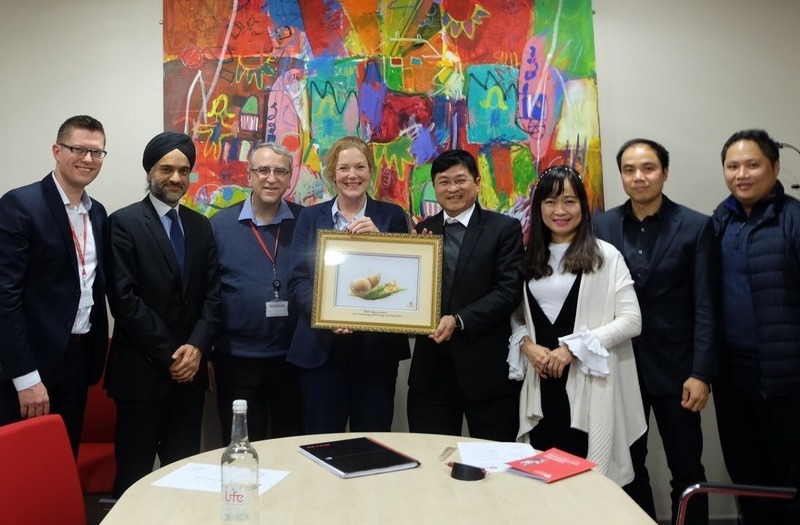 Meanwhile, a delegation from Ho Chi Minh City University of Technology and Education (HCMUTE) paid MDX a visit in January. The University, which shares Middlesex’s emphasis on real-world briefs and industry placements, established ties with MDX’s Mechatronics programme in 2015, when Dr Nguyen and a colleague visited on a tour of Vietnamese universities. As part of its strategy to expand in AI and Mechatronics, HCMUTE plans to increase the number of Mechatronics students progressing to MDX under the existing articulation agreement. Beyond that, there are hopes to develop further collaborations. A workshop programme funded by British Council, under the UK-Vietnam Higher Education Partnership which started last October in Ho Chi Minh City in collaboration with Van Lang University and Da Nang Architecture University continues until May 2020. In each week-long workshop, two or three professors from Middlesex train 20+ Vietnamese academics in advanced research and scientific writing skills. And in April, Middlesex is running international telecommunications conference ICT-19 in Hanoi in partnership with the Vietnamese capital's Le Qui Don Technical University; MDX's Dr Nguyen is the conference's executive chair. This will bring many more opportunities for collaboration with universities and researchers from Vietnam. Dr Minh-Hung Ngo, Director of Research and International Relations at Van Lang University, hailed the first two workshops in Ho Chi Minh as a great success. “[MDX Deputy Dean] Professor Balbir Barn and Dr Nguyen have really helped the participants grasp the most important skills within [a] short period of time,” he said. “All Vietnamese participants then went on to spread the skills learned to their respective faculty/universities. I believe this is just the first of many more collaborations”.